This little boy holds a special place in our hearts. Grayson is ridiculously cute without any bias from us, but he is also Lindsey's best friend's (since 1st grade) son. Lindsey had the honor to witness and photograph Grayson's birth last May, an incredible experience and one we will be sharing in the fall. 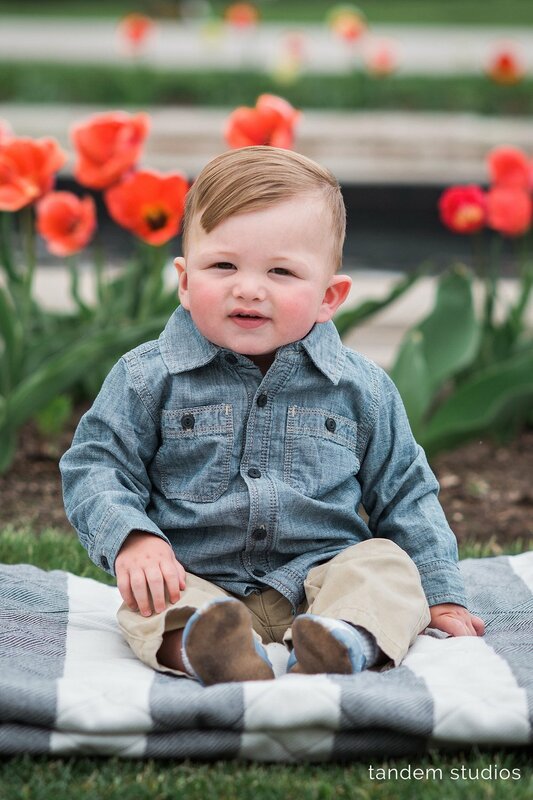 For Grayson's 1 Year Session, we headed to Congress Park in downtown Saratoga Springs, New York. With grandparents and uncles also present, we were able to capture some shots of the entire family and of course, many solo shots of Grayson. After Congress Park, we headed to a nearby baseball field to do a mini cake smash and do a few baseball-themed photos.